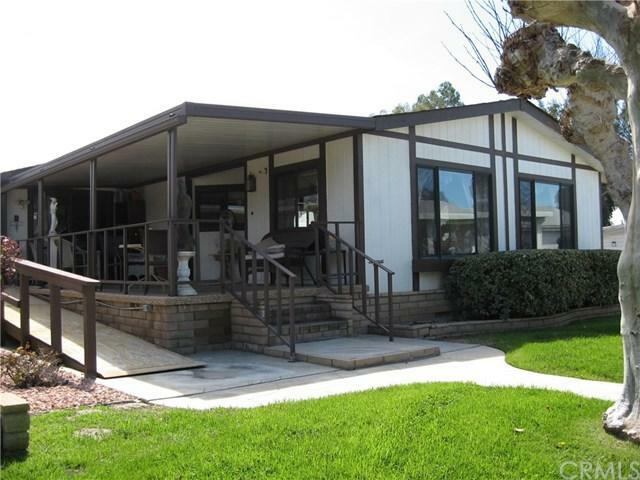 EASTLAKE is a 55+ gated community in Hemet California. This well appointed manufactured home is built by Silvercrest Homes and features two bedrooms and two baths. Close to the pool and clubhouse with ample guest parking there is no need to look further close to the pool, clubhouse, spa and other activities plus a short drive to shopping, restaurants and all your city needs. Dual pane windows and 2x6 construction added for insulation and also for comfort and quiet living. Fireplace is electric, miracle coating over formica with renovated cabinets to make for easy maintenance. Many more features that must be seen to appreciate.